It’s that time of the year when festivities are on a rise. Everyone wants to look their best while attending parties and family get-togethers. Oriflame Nutrishake can help you look and feel great! Clothes and accessories can help camouflage some flaws that mar one’s self confidence. But human mind always aspires for more. And that can be achieved by maintaining a healthy body through proper weight loss with guidance from Orifalme wellness consultants like me. Choosing the right means for weight loss is always a challenging task with several options and advice, one is bombarded with every day. 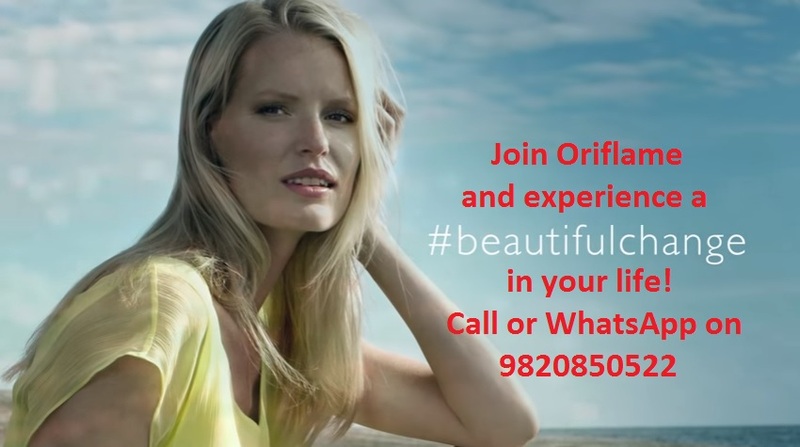 But one brand that stands true to all its health claims with genuine results is Oriflame. Oriflame has diversified over the years from cosmetics to manufacturing wellness products like Swedish Beauty Complex, and Omega 3 Capsules. Another such wonderful product that comes to mind while thinking of weight loss is Oriflame Nutrishake. Oriflame Nutrishake contains natural ingredients which make it easy to be absorbed in the body and help maintain an optimal balance. So, now you can shake, dance and get in shape! With rich protein sources and fibres in healthy soluble and non-soluble form, this mix also includes low Glycemic Index Carbohydrates. The natural sources from which these nutrients are derived are apple, rosehip and whey (milk). While fibres and proteins help sustain an appetite for longer, the carbohydrates formulation assists in slow uptake and maintaining a stable sugar level. These ingredients put together help support the body in achieving weight loss. Many Oriflame consultants in Delhi have got good success with this product. There are more scientific reasons as to why the natural ingredients in Oriflame Nutrishake help weight loss. Apple is a rich source of pectin, which is good for proper bowel movements. Rosehips are rich in vitamins and sugar beet in fibre, ensure that the digestive system remains healthy and functions properly. In other words, these ingredients aid in the body’s metabolism leading to lower intake of calories that is important for weight management. The body’s blood sugar levels also remain stable courtesy the optimal relationship between proteins, fats and slow carbohydrates. Creating this elixir was not an easy task. Extensive research for a period of 8 years has helped Oriflame zero down on this health drink and patent its formula. Labours of Professor Stig Steen and his research team in Sweden ensured that you don’t just enjoy the taste but even benefit through healthy weight loss. The research’s initial objective was to improve a patient’s recovery after organ transplant of lung or heart. But sampling it among healthy individuals proved beneficial in different spheres of health including weight management and enhancing energy level. 24 hours in a day doesn’t seem enough to finish all the tasks at hand. Either one gets delayed due to some unavoidable circumstances or one’s energy drops down by mid-day with all the running around and stresses to deal with. In such situations, revitalizing oneself is necessary and a healthy Nutrishake serves its purpose effectively here. Available in mouth-watering natural flavours of Vanilla, Strawberry and Mango-Banana, this Nutrishake is a must have for healthy fad lovers. Enjoy the benefits of health in these sweet flavours of nature. Choose one or alternate between the three for a variety that will delight your taste buds. Oriflame Nutrishake price may change from month to month due to change in offers in the Oriflame Catalogue, so get in touch with me for the latest price. Also you can buy Oriflame products online once you become an Oriflame consultant or VIP customer. Jashmi left her job to take up the Oriflame business opportunity and today she is a Director in Oriflame making a decent income from home. These Nutrishakes are so delicious and healthy!